If you're planning a family vacation to the Jersey Shore, Cape May offers clean beaches, miniature golf, arcades, museums, shopping, and kid-friendly dining. Cape May has some of the most beautiful beaches in the country. Our beaches are protected by the Cape May Beach Patrol during the summer and they are cleaned nightly. From Memorial Day to Labor Day, beach tags are required for beachgoers ages 12 and up. They are available at beach entrances and at City Hall. 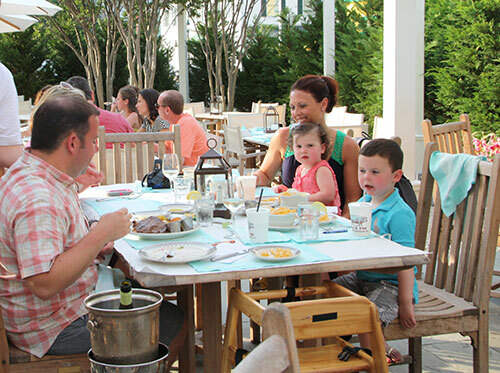 Good news: The majority of restaurants in Cape May are kid-friendly and offer a children's menu. Choices range from takeout to fine dining. Our beaches are the most popular destination for families, but there are plenty of other kid-friendly activites to explore while you're in Cape May, from eco tours to water parks. 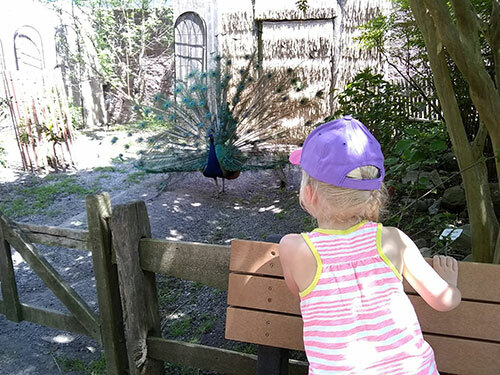 And the Cape May County Zoo, located off of GSP Exit 11, is open year-round and offers free admission (although we suggest a donation). Cape May is home to a variety of hotels, with offerings ranging from basic beachfront accommodations to luxury suites. Hotels located on Beach Avenue face the water and are the shortest distance from the sand. If a swimming pool is a must for your family, or if you must have an on-site restaurant, our amenity filter will help you find what you're looking for. Cape May's B&Bs are a good choice for families with older, well-behaved children since many have minimum age requirements. Breakfast is included in your stay at any of these accommodations, and some offer afternoon refreshments, so you won't have to go outside until beach time. B&Bs	offer	a high level of service with onn-site innkeepers who can help you make the most of your Cape May vacation. If your family prefers the ambience of a B&B but you want the freedom to choose where you'll have breakfast, consider a guest house. Guest Houses fall somewhere between a hotel and a B&B. They have dedicated innkeepers and are often in historic buildings, but they generally don't offer breakfast (some may offer a continental spread). Guests houses often offer suites or small apartments with kitchenettes, which lets you prepare light meals. If your family prefers the outdoors, we have no shortage of campgrounds in the area. They are a wonderful choice for families because of the number of on-site amenities like swimming pools and scheduled activities—many geared specifically toward children. Campgrounds can also be a more budget-friendly option than a traditional hotel. Renting a whole house or condo in Cape May is an affordable alternative to traditional B&Bs or hotels, especially if you prefer a week-long vacation with family rather than just a few nights. Renting gives you all the amenities of home, from full kitchens to plenty of space (and wifi).